arthaus.berlin international school offers the international performing arts community full time training programs on postgraduate level in the field of devised theatre and performance. Practitioners with a background in theatre, performance, dance, circus arts, visual arts, design, architecture, directing, writing or choreographing, can enroll into one of our MA or MFA degree programs or complete the training with a professional development certificate. No matter which program our students decide to enroll, they all share a strong desire to create their own artistic work, in collaboration with others or on their own, and to take an active role in the development of the performing arts of today and tomorrow within their own culture and beyond. The 1-year full time program addresses practitioners with an already existing background in the performing arts interested in creating their own work in collaboration with others or on their own. Successful completion of the course leads to a certificate of completed studies at arthaus.berlin international school. The 1-year full time program addresses advanced practitioners in the field of the performing arts interested in the development of dramaturgical structures, which integrate and embody emerging cultural paradigms as well as one own personal process. Successful completion of the program leads to a certificate of completed studies at arthaus.berlin international school. The 2-year full time program combines completion of the two 1-year courses in Devised Theatre and Performance and Embodied Dramaturgy. Successful completion of both programs leads to a certificate of completed studies at arthaus.berlin. For more information about each of the two 1-year programs visit the respective webpages. The MA Devised Theatre and Performance is delivered by arthaus.berlin international school in collaboration with Rose Bruford College in London. Students on the program will complete the 1-year full time course in Devised Theatre and Performance at arthaus.berlin followed by an independent research project. For more detailed information from Rose Bruford about the one-year MA program please click here. The MFA Advanced Devising Practice is delivered by arthaus.berlin international school and the Thomas Prattki Centre for Integral Movement and Performance Practice in collaboration with Rose Bruford College in London. Students on the program will complete the 1-Year full time course in Devised Theatre and Performance and the 1-year full-time course in Embodied Dramaturgy at arthaus.berlin followed by an independent research project. For more detailed information from Rose Bruford about the two-year MFA program please click here. The MFA European Devised Performance Practice is offered by Columbia College in Chicago in collaboration with arthaus.berlin international school. Students on the program will complete the 1-year fulltime course in Devised Theatre and Performance at arthaus.berlin and complete their second year of training at Columbia College in Chicago. For more detailed information from Columbia College about this two-year MFA program please click here. The 1-year full time Embodied Dramaturgy program addresses advanced practitioners in the field of the performing arts interested in the development of dramaturgical structures, which integrate and embody emerging cultural paradigms as well as one own personal process. Successful completion of the program leads to a certificate of completed studies at arthaus.berlin international school. Too many options? Contact us, we are happy to answer your questions! Valentina Bordenave is a freelance dancer, choreographer and certified Alexander Technique teacher. She graduated from the Folkwang University in Essen, Germany. 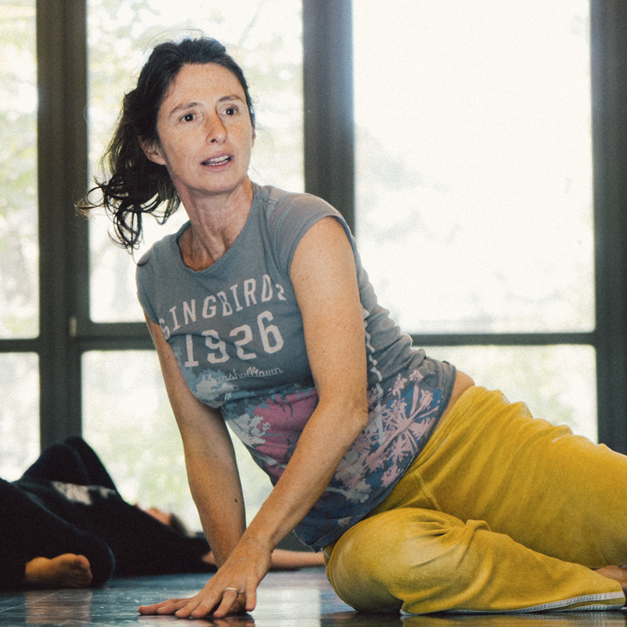 With over 20 years of experience as a dancer and movement teacher, Valentina has been actively researching the integration of mechanics and poetry of the body. Her work has a strong focus on the body support system, spatial and energetic awareness, intense physicality and utmost sensitivity. As a performer, Valentina has worked with the choreographers Mark Sieczkarek and Editta Braun among others, and in 2014 she founded the international Collective ANDERPLATZ with nine other actors and dancers. Cat is a performance-maker, storyteller, director and teacher from London. She trained at Drama Studio London and LISPA. Cat has toured Europe with solo work and with various puppetry, physical theatre and storytelling ensembles, including Theatre Témoin and Impronta Theater. She is Artistic Director of storytelling company TailSpin. 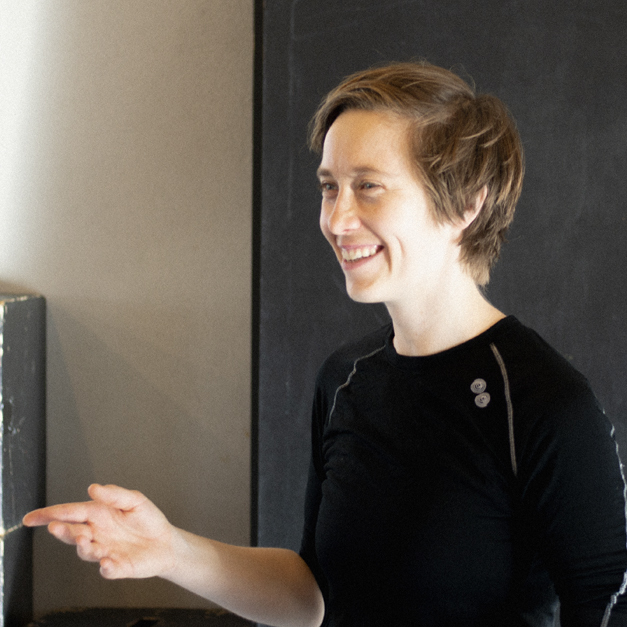 She has been exploring the depths and heights of voice, text and telling – as a practitioner and a teacher – since 2010, colliding her cross-arts interests with a movement towards wholing. Originally from Buenos Aires, Ariel has a background in international politics, Literature and Performing Arts. He studied at the Ecole Internationale de Theatre Jacques Lecoq in 1996 and joined LISPA in 2011, where he completed the Advanced Devising Practice program as well as the pedagogical training. 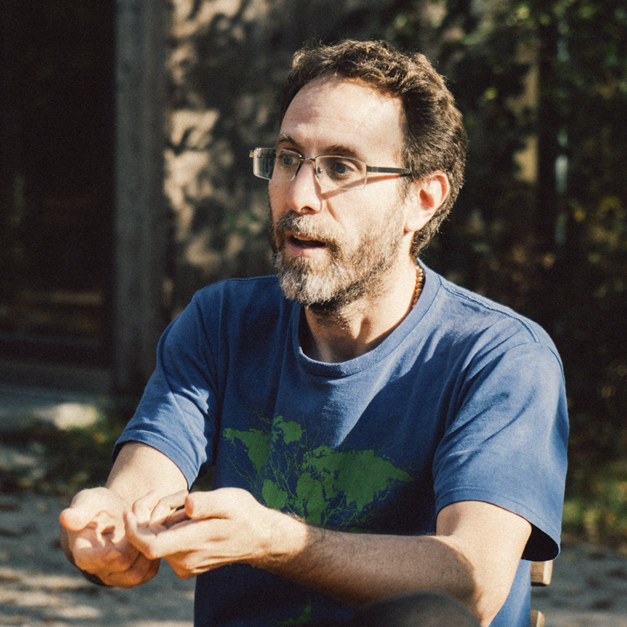 An active collaborator with companies in the US, Europe and Latin America, he also holds a PhD in Modern Languages and Literatures from the University of Miami with an emphasis on Performance. His dissertation “Scenic Landscapes: The theater in the global city” explores the relation between globalization, theater and non-conventional performance spaces. Rachel is a British performer, teacher, academic and director based in Berlin. In 2001 she completed her PhD research into Shamanic dimensions within contemporary theatre practice and has run regular workshops exploring the connections between the actor and the shaman internationally. Rachel worked with internationally acclaimed Polish company Teatr Biuro Podróży from 2000 – 2003. Rachel’s latest solo performance Dreams Die Hard premiered in October 2018 in Berlin. Thomas is the founder of arthaus.berlin, an international creative hub for theatre makers from around the world. He has been the pedagogical director of the Ecole Jacques Lecoq, before creating in 2003 the London International School of Performing Arts (LISPA). In 2018 he creates arthaus.berlin, which hosts the international school of theatre and performance makers (formerly LISPA), an international workshop and research space and the Thomas Prattki Centre for Integral Movement and Performance Studies. As a performer he has toured the world with Mummenschanz, a world renowned company combining movement, mask, puppetry and the visual arts. He has directed, taught and lectured for the last three decades in over 30 different countries, pursuing his interest in the practice of Embodiment in art and life. His most important reference point next to the pedagogy of Jacques Lecoq is the strongly Jungian and Zen based work of Maria Hippius and Karlfried Graf Duerckheim. His most important teacher is currently his 6 month old daughter. 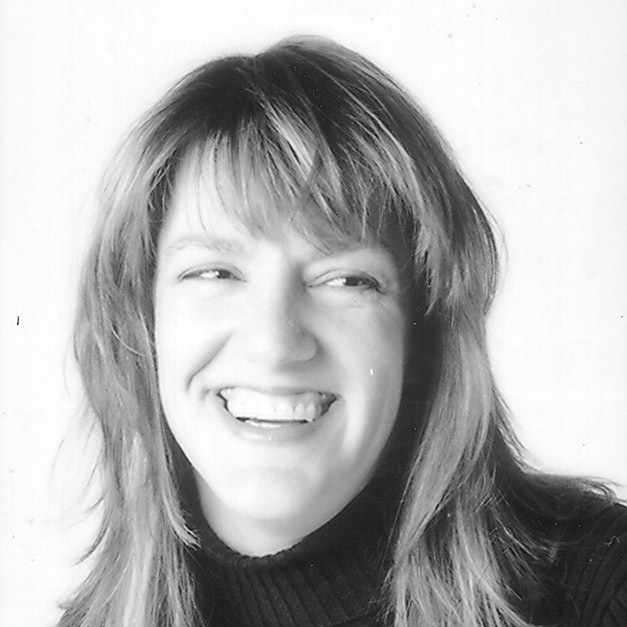 Kelley has worked professionally as an actor, director, stage manager and arts administrator. She trained as an actor, director and dramaturg at the University of Northern Colorado (1994), before completing her MFA in Actor Created Physical Theatre at Naropa University (USA) in collaboration with LISPA. Before moving to Europe, she performed with a number of US-based theatre companies, devising experimental work, whilst working as an arts-in-education activist with the Denver Center for the Performing Arts. Kelley completed the pedagogical year at LISPA in 2004, and has taught with the LISPA team since 2005. She is also a visual artist, working primarily in acrylic, ink and watercolour, and has a deep interest in the creative space that is opened when different artistic and educational practices meet and transform. Patrick is a multi-instrumentalist with over 25 years of experience both performing and writing in many different styles of music. He has a Masters degree in Jazz Performance from the the Guildhall School of Music and Drama in London, and sang for seven years with the London Vocal Project, performing with them at London’s best jazz clubs as well as at the Royal Festival Hall and the Barbican. Since 2008 Patrick has been encouraging and assisting theatre students at arthaus.berlin / LISPA to playfully explore and expand the musical possibilities available to them, individually and in the group, through mindful listening, rhythm games and improvisation. He also composes electronic and acoustic music, with a particular interest in the layering of patterns, additive and subtractive process music, free improvisation and instant composition. Originally from Buenos Aires, Ariel has a background in international politics, Literature and Performing Arts. He studied at the Ecole Internationale de Theatre Jacques Lecoq in 1996 and joined LISPA in 2011, where he completed the Advanced Devising Practice program as well as the pedagogical training. 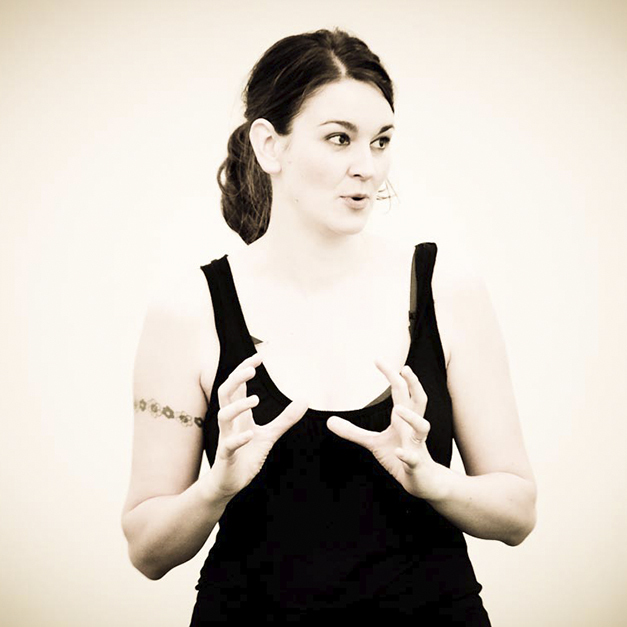 Rachel is a British performer, teacher, academic and director based in Berlin. In 2001 she completed her PhD research into Shamanic dimensions within contemporary theatre practice. For many years, Rachel ran regular workshops exploring the connections between the actor and the shaman internationally and often with her long-term collaborator, Professor Brian Bates. Rachel was an actor with internationally acclaimed Polish company, Teatr Biuro Podróży from 2000 – 2003. She has directed for Greenwich Theatre and East 15 Acting School, Northampton and Leeds Universities and since 2017 Rachel and Kuba of COSmino have worked as visiting directors for Salzburg Landestheater, Austria where they directed King A in 2017 and will direct Paula’s Reisen which will premiere in Spring 2019. Julie Beauvais’s body of work ranges from opera, theatre and choreographic works, to architectural interventions, video works and performative installations. Her art is driven by her interests in embodied experience, conscience and elevation and has been performed and exhibited internationally since 2001. The swiss artist began her directing path in the United States after graduating from Ecole Jacques Lecoq in Paris. She co-founded Sprung Theatre in Chicago in 2001 and started devising and producing choreographic works. In 2003, she founded a second company in Geneva called Mondes Contraires. For seven years, Julie has researched internationally, exploring different forms of epic theatre in diverse political contexts. The work has led to collaborations with Brazilian, Mongolian and Nicaraguan companies. The productions toured internationally until 2009. At the same time, she has been invited to collaborate with companies such as danish theatre group Hopballehus and american physical theatre company Plastiscene amongst others. Abigail is a theatre director, teacher, performer and scriptwriter, specialising in devised theatre. She trained at East 15 Drama School, Ecole Philippe Gaulier and LISPA. She has performed, directed and devised with many companies including Compagnie Philippe Gaulier, Keith Johnstone, Spymonkey, Told by An Idiot, Peepolykus and Trestle Theatre Company. She is joint Artistic Director and performer with the theatre company – A & E Comedy, whose play, Enter The Dragons, won the Best of Brighton Fringe award 2017. Over the last 25 years Abigail has taught extensively at drama schools and Universities, including Mountview, ALRA and Middlesex University. As a scriptwriter, she won Hat Trick Productions Sitcom Mission Competition and has made a number of short films, including a TV sitcom pilot with Spymonkey Theatre Company. Lionel worked for 10 years with the Company Marcel Marceau before joining Philipp Genty’s Company. As a director and choreographer he has worked beyond others with Philipp Glass at the Carnegie Hall, Michael Jackson and Marcel Marceau at HBO, Claude Lelouch, Jean Paul Goude and Lea Seydoux. at the Konzerthaus Berlin, the Luxembourg Philharmonic, the Warsaw mime centrum, the Valencia Festival in Venezuela and the Sydney Festival. Philipp is an actor, clown and licensed TaKeTiNa Rhythm Teacher. An alumnus of Jacques Lecoq, he has performed his show “stäx rhythmclown” in street theatre festivals all over Europe. As a teacher he has worked at theatre schools and universities such as LISPA, Universität für Musik und darstellende Künste (Vienna) and Bayerische Theaterakademie August Everding (Munich). Jonathan Young is an award-winning theatre maker, writer and teacher. He trained for two years with Jacques Lecoq at his school of theatre and movement in Paris, before studying contemporary clowning with Philippe Gaulier and Sue Morrison. In 2001, he set up a touring company, Shams, and was its artistic director until 2012. Shams created intelligent and playful new work, often using multimedia elements, clowning, site specific or immersive projects. 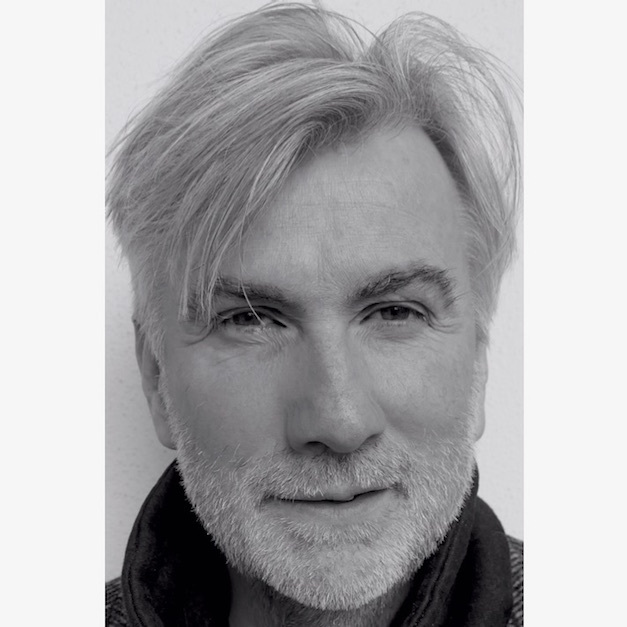 For the past 20 years, Jonathan has also worked freelance as a performer, writer and director/dramaturg with other UK theatre companies. 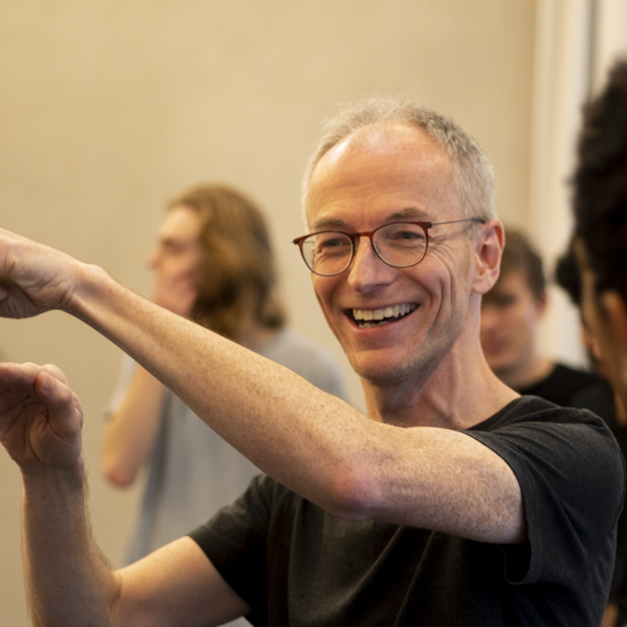 He has regularly taught movement, devising, clowning and theatre at drama schools and universities, including LAMDA, LISPA in London and Berlin, Guildford School of Acting, Birkbeck and Manchester Universities. He is a qualified Feldenkrais Method practitioner and a screenwriter. His first short film, Padlock (2016), co-written with director Ben Hyland, won Best Film at the Bottle Smoke Film Festival and Best Thriller at the New Renaissance Film Festival. He is currently developing feature film and TV projects, as well as a new clown-theatre show. The student movements of the 1960’s were fuelled by a desire to change the predominant vertical, male hierarchies in politics, mainstream culture, education and the arts and a wish to move to more horizontal structures based on collaboration, dialogue, fluidity and equality. While the beginnings of collaboratively devised performance can be probably traced all the way back to the beginnings of theatre itself, the explosion of devising practices, training methods and companies since the 1970’s is closely linked to this political movement of change. In the meantime devised theatre and performance has seen a rich development of artistic languages and a differentiation of its motivations and working processes beyond the political. In this context arthaus.berlin international school addresses artists who wish to move towards artistic autonomy to experience themselves as agents of change and transformation in contemporary culture. The fall of the Berlin wall in 1989 marked the end of the so called “iron curtain”. Since then Berlin has become an iconic symbol for the emergence of subcultures which continue to challenge the political and cultural “either/or “ dichotomy, so present during the period of the Cold War, but also re-emerging all across Europe and beyond in the far right political movements of present days. Being is inter-being. This approach opens a space for a new understanding of encounter, where otherness is not a threat, but an opportunity. arthaus.berlin international school wishes to foster a growing awareness for inter-being, in all aspects of artistic and cultural life, and to encourage therefore our students to move towards interdisciplinary exchange, international collaborations and the trans-cultural. This demands a culture of dialogue, so that autonomy and inter-being do not exclude each other, but become the two halves of a powerful new creative polarity. . In 2007 Apple launches the first iPhone and with it a cultural revolution. Everybody can now become her/his own filmmaker, photographer, DJ., and is able to take on the role of a cultural producer. The creation of culture is no longer in the hands of a few individuals, but open to everybody. Contemporary culture enters a phase of enormous diversity, pluralism and fluidity and the concepts of what constitutes art need to be redefined. In this cultural context at the beginning of the 21st century arthaus.berlin international school enjoys the opportunity to be a place of creative research and flux, where the modernist art vision of transcending time and place, of aiming for a truth, an absolute, a unity, of making sense of the world, of being poetic and metaphorical meets its polar opposite, the postmodernist rejection of style and unity in favour of assemblage, the personal, the local, the liminal, the androgynous, to fertilise each other. We would like to know more about your interest in the course. Please send us a scan of a hand-written letter of motivation explaining why you would like to study at arthaus.berlin. Please give us an insight into your education, artistic training, theatrical experience and other fields of interest. Be sure to include complete contact information, your date of birth, and your nationality/passport country in your CV. Please include a scan of one original letter of recommendation from a former teacher, director or training institute. No faxed copies or emailed letters will be accepted. Enclose scanned copies of relevant degrees, certificates or transcripts. Please include a comprehensive financial statement explaining how you intend to pay for both the training and your costs of living in Berlin. Include scanned bank statements where appropriate. If funded or supported by a relative, include a scan of a statement signed by them, along with their full contact details. Please include one recent photo of yourself – a passport photo is sufficient.